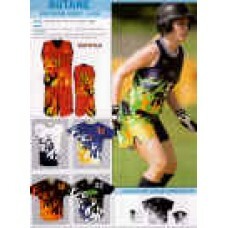 Softball Jerseys For Men, Women & Youth. Baseball & Softball jerseys full button down only - add $9.00. If you don't have 3 weeks, call about our sublimated baseball jerseys in 7 working days, or try stock baseball jerseys. These baseball uniforms are custom sublimated & can have any color pinstripe you want. Use up to 8 colors at no extra charge. All lettering, logos & numbers are included in the price. You can come back next year to add as little as 2 uniforms & they are guaranteed to never crack peel or fade. Individual player names sublimated on back of jersey add $8.00 per jersey. Minimum fill-in 2 pieces. This is a pre-order only item. A Shop4teams representative will contact you to assist&nbs..